Did you see the amazing presentations of our VUB PhD Cup finalists during the PhD day 2018? Would you like to compete with fellow-researchers for the VUB PhD Cup 2019? Then be sure to reserve a spot on the pre-selections taking place during the PhD days of the Doctoral Schools and bring along your colleagues! You not only can win a spot during the finals in May, but will have the opportunity to get personal training from the Floor is Yours on April, 30th; the possibility of making a short video on your research for ‘Science Figured Out’ and win 500 eur working credit!! Check out videos from last year here. To prepare yourself to speak about your research in layman’s terms, you can follow a short writing course offered by RTDO! Format: Give a three-minute presentation of your research in English, tailored to a large audience. You can make use of a powerpoint or other objects to get your message across. To nominate PhD candidates for the PhD Cup, each Doctoral School will organize a pre-selection in which you can present your research. The audience will choose one finalist and the jury the other two. Too early to present something but curious how more experienced researchers perform on stage? Come and cheer them from the audience! - Script your research as a story with emotional as well as intellectual impact – people will remember your research better! - Do you have any fun facts related to your research? Use them! 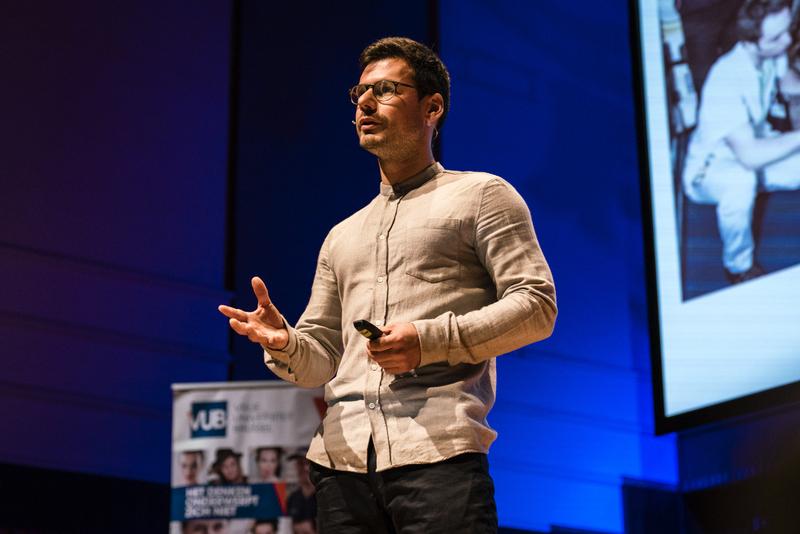 Explaining in three minutes what your research is about, that’s what is expected from the finalists in the VUB PhD Cup on the 27th of May 2019. To win the 500 euro award, the candidates need to translate their research into a short message that enthuses and can be understood by a wide audience. To get into the finals, the finalists had to struggle through pre-selections in April and May. Eventually 9 young researchers made it to the finals. Like in a real talent show, both an expert jury and the audience had to vote for the best presentations. According to them, it was a though choice as the bar was already pretty high! Want to join this event, cheer for your colleagues and vote?